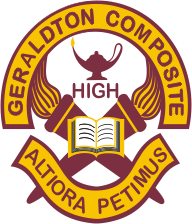 Welcome to another great year at Geraldton Composite High School! A very special welcome to new students. Here is some information that you may find helpful in making your first few days back at school comfortable. The First Day of School is on Tuesday, September 1. 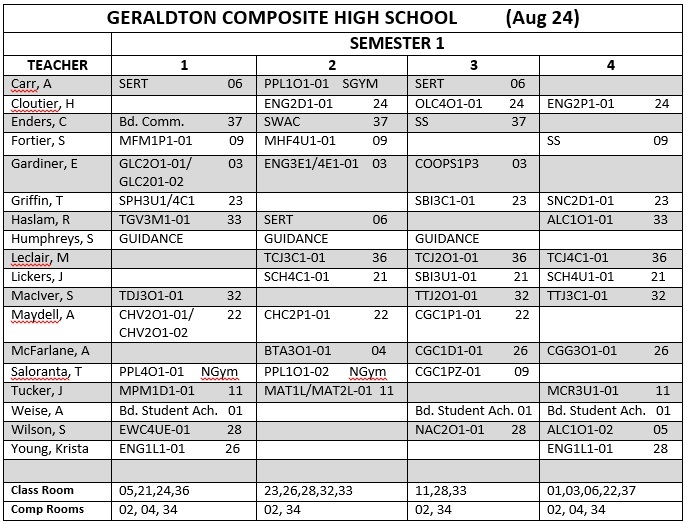 A special schedule is in place for today to accommodate a short assembly before the start of Period 1. Buses will arrive at GCHS for 8:30am. Lockers & Registration can be completed as students return to school. A $10 fee is required and only GCHS locks can be used. New Students are encouraged to call Mr. Luomala, Principal, at 854-0130 Ext. 225 to make an appointment prior to registration. Course Changes will occur by appointment only. Please listen to announcements and sign up outside of the Student Services/Guidance office across from the library. Best of luck to all students and staff on your return to school. Let’s work together to make this year awesome!